Back in the summer of last year IonFans requested in the most numbers (we listen to customer requests and if you would like to make a suggest send it to info@theionage.com we always reply) the creation of a fifth pack of core troops for the Shia Khan Empire. A weapon not held by any 15mm scale Legionaries up to this point the Hydra Laser Shotgun which could be used as close assault troops or, as many players of Patrol Angis do, mixed into Ordos (platoons) alongside the other thirty three poses of Legionary. We show you this new pack here and it will be released on the 12th of January alongside our Early Supporter Offer for the smallest of Khanate Vehicles (as found on page 42 of The Khanate Return) the attack orbs! 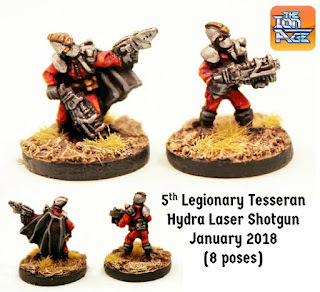 More on those at the time (they are bloody awesome) but this new Tesseran plus the Orbs will make you smile and get you some pain down on those Prydians! 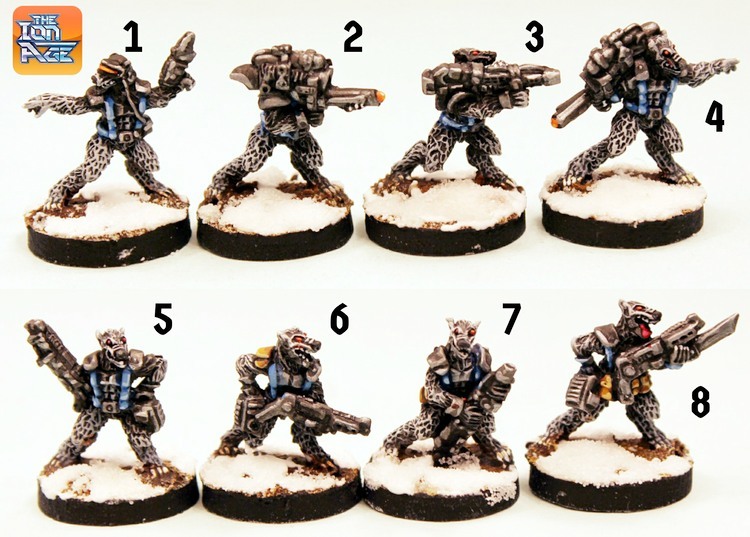 Third Tesseran of our 15mm scale space wolves begins the releases on the 5th of January at popular request to go alongside the two other packs which are already on the website. The 3rd Tesseran is a support code to back up your command and typical infantry. 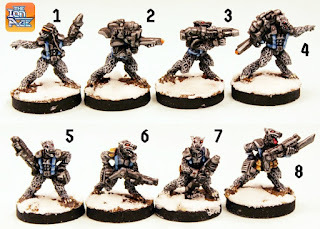 We are working on completing the Ordos (Platoon) Pack with its unique miniature and we aim to have that out this spring. See the other Beotans HERE. Full news at the time. 2018 is going to be a cracking year and the focus will shift away from aliens back to Humans in the spring. Get ready for the Early Supporter and grab life by the Orbs when the 12th arrives! Werewolf Beotan 3rd Tesseran Support released!